Back in the day, when I first started Backstitch some of my first collections were Amy Butler collections. I stocked the best of Midwest Modern and Daisy Chain. But since then I've not been compelled to buy into any of her releases... until now! Amy's latest collection is called Voilette and has some really wonderful prints. 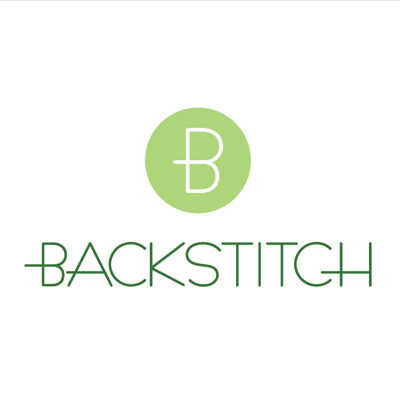 I chose seven prints to stock at Backstitch. 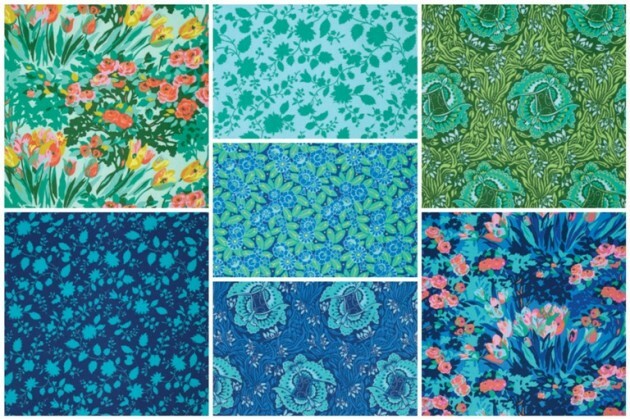 They are the in the richest of blues and green and the prints are classic Amy Butler florals. Wonderful for garment sewing as well as quilting and craft. We also have a fat quarter bundle of the collection. Amy's influences for the collection where taken from a trip to France, to the region where they harvest the violets for soap, pastilles and fragrance. The prints are influenced by the French deco graphics mixed with modern flora and fauna. The colours are inspired by farmer's market visits and the inherent natural beauty of the French countryside. If you want to hear Amy talk about her work, the industry (and a whole lot of other stuff), have you listened to this recent episode of Stephanie's Modern Sewciety Podcast. Amy and her husband David start talking at 00:38:30.